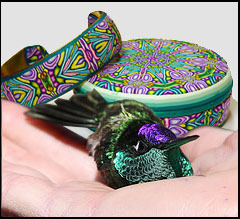 Have you ever held a hummingbird in your hand? Well here’s your chance! I’m so excited about my Birds and Clay Workshop in Arizona this May! I know there is a lot of interest because many of you are checking out the details each day. Nevertheless I still have 4 openings, so I decided I should tell you a bit more about how special it will be. Like all of my 6-day workshops it will be retreat style. You’ll spend six days living and working with fellow clayers without the distractions of ordinary daily life. Strong friendships have been formed (or strengthened) in every one of my 6-day workshops. Breakfast and snacks are included in the lodging fee and we will be making our own lunches, so there will not be a lot of added expense. This particular workshop is different from the others in that spouses or companions are encouraged to come and participate in the bird walks and other activities the area has to offer. We have a day-long birding trip to local “hotspots” with a professional guide planned just for them. Naturalists, hikers, birders, mineral collectors, history buffs and butterfly enthusiasts will find plenty of things to do. 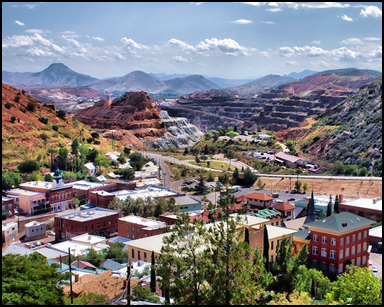 The nearby town of Bisbee has excellent restaurants, as well as galleries, a mining museum, and opportunities for rock hounding. For relaxation Casa guests can stroll along the river, take a dip in the lap pool, watch hummingbirds at the abundant feeders, or sit in the courtyard with a glass of wine and enjoy the late afternoon light. Four spouses are already planning to come. 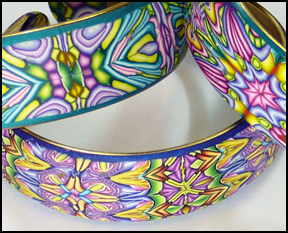 The pace of the workshop will be relaxed but designed so that you can become as deeply involved in polymer as you choose to be. In addition to the instruction on techniques there will be a wide range of projects to choose from. If you would rather spend your unstructured time learning about color, caning, or finishing techniques than doing projects, you can do that too. With only 8 students in the class, I can tailor it to fit the group. You can read more about the daily activities for clayers including class and studio times, bird walks and hummingbird banding here. 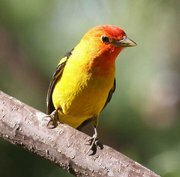 Mid May is the peak of spring migration and an ideal time to bird in Arizona. 118 species, including many AZ specialties (list) have been reported in the area at this time of year. The Casa de San Pedro caters to birders and would normally be fully booked for this time; however, Patrick and Karl have agreed agreed to hold all 10 rooms in the Casa for us until early February. At that time I have to decide whether there are enough registrants for the workshop to be “a go.” If you are putting off submitting your registration fee I encourage you not to wait too long. This opportunity could be gone. 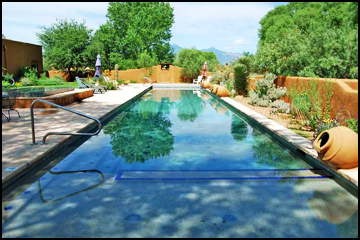 NOTE: If you have friends who love the kinds of activities SE Arizona has to offer, 2-3 rooms will be available at our special rates for non-workshop participants. 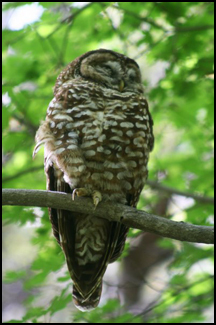 They will also have the opportunity to participate in the bird walks. Have them contact me for information. 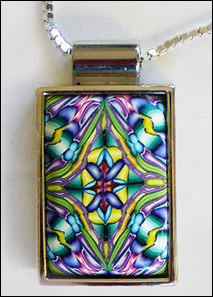 This entry was posted in Classes/Workshops, color theory, Kaleidoscopes, Teaching and tagged Carol Simmons, Color, Color Mixing, Kaleidoscope Canes, polymer clay, Polymer Clay Classes, Polymer Clay Colorado, Polymer Clay Teachers, Polymer Clay Techniques, Polymer Clay Workshops. Bookmark the permalink. i will be excited to hear all about it! I wish you could be there! Will you be at Fimohrani? Sounds fabulous! Wish I were an artist and/or closer. I got to hold a real hummingbird in Jamaica while it fed. Wrote a book on the little beasties. Your work is beautiful! Thank you. What is the title of your book? Hummingbirds: Facts and Folklore from the Americas. Published by Charlesbridge. In addition to information about hummingbirds I retell folktales from native cultures. The art is fabric art (quilted) by Adrienne Yorinks. It sounds like a beautiful book. I love quilts. Where is your work available? I see you will be in Austin later this year. Is it a show or a workshop?